Bitcoin has a variety of meanings. For some users, it’s a way to move currency without being tied to a central bank. For others, it’s an intangible entity of dubious origin and questionable value. But, what is it, in its most elementary sense? In casual conversation, one could say that bitcoin is a digital currency, but it’s more detailed than that. Bitcoin is one of the first cryptocurrencies. It was created in 2009, when an individual (or group) using the pseudonym Satoshi Nakamoto introduced the Bitcoin platform, which hosts bitcoin, the digital currency. The platform is built on the idea of proof-of-work data, which is time-consuming and expensive to produce, but is easily verified. In the case of Bitcoin, proof-of-work is created via the mining process. To mine bitcoins, computers must complete a complex algorithm, going through extensive calculations in return for newly-minted currency. These pieces of currency are worth what the market determines through the law of supply and demand. All transactions are connected to the user’s Bitcoin address, which is stored on the blockchain or general ledger. If the address is linked to a person’s real identity, transactions are traceable. This relatively high degree of anonymity makes the Bitcoin platform a great way to make incognito purchases online. In this guide, readers can learn more about this form of cryptocurrency that is now enjoying worldwide attention. Because Bitcoin isn’t controlled by a central bank or government, it’s poised to have significant effects on the worlds of banking and finance. These effects may include those listed below, among others. Increasing the dark web’s financial power: The dark web is the part of the Internet that’s not found in search engine results. It’s only accessible through software, such as the Tor browser, which allows users to search the internet anonymously. As some may know, the dark web is the place to find weapons, narcotics, assassins, and other illegal things. By using a cryptocurrency like bitcoin, a person can complete an illicit transaction without revealing any identifying information. Cryptocurrencies make these transactions easier, which may increase cybercrime. Speculative trading: Back in the middle of January 2015, a single bitcoin was valued at $170; in July 2017, its value had soared to $2772. Because bitcoin’s value is prone to such fluctuations, it presents huge possibilities for speculators. 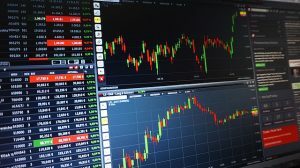 Just like trading shares of stock, bitcoin trading is a massive endeavor, and it’s likely to grow more as cryptocurrency becomes commonplace. The politicization of currency: Before the advent of cryptocurrency, all financial transactions were facilitated through the world’s central banks. Now, thanks to bitcoin, the scenario is changing, and the power is shifting from the central banks and world governments to the population. This radical change in the handling of monetary transactions can potentially change the entire world’s economic structure. To enable scrutiny and provide security, financial institutions maintain records of every transaction. Now, with cryptocurrencies, the people have a way to challenge the banks’ economic power. If it’s adopted on a global scale, Bitcoin can cause money to become highly politicized. 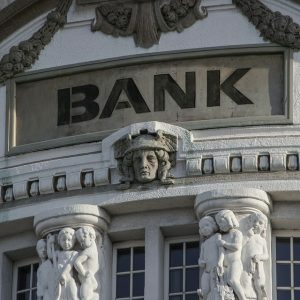 Fear among the world’s banks: Many believe that Bitcoin can be used for international money laundering. The world’s central banks have been skeptical of bitcoin because it can’t be monitored, predicted, or tracked. Cryptocurrency has become a power in and of itself, because it’s keeping governments’ and banks’ financial power in check. Cryptocurrencies like bitcoin have created a new market where, unlike the present financial system, no one entity has total control. Cyberspace is set to become the manager of this disruptive market, and the near-zero transaction cost makes cryptocurrency superior to traditional currencies in many ways. Tech entrepreneurs and innovators everywhere are quickly realizing how industries can be reinvented with the use of the blockchain. Below are just a few of the sectors seeing major disruptions. The supply chain: Walmart and IBM recently teamed up to improve supply chain efficiency by using the blockchain to track pork movement through China. By tracking supply chain information on the blockchain, users can quickly determine the origin of a shipment, stopping it as soon as it is deemed unsafe. This practice improves vendor/consumer transparency and increases trust. Manufacturing: This industry is full of red tape, and many parts manufacturers are owned by a select few companies. Although ideas are plentiful, bringing them to fruition is difficult. By using blockchain technology to create a decentralized 3D printer network, manufacturing can be scaled to consumers’ demands, and suppliers can produce things collectively. Shipping: The world’s logistics industry is ripe for change, as the process is multi-layered. From haulers to drivers, from forwarders to shippers, the procedure and its interactions can be made more efficient with the blockchain’s technology. The increased accountability and transparency will only help the industry, as the blockchain will allow consumers to verify individual products and monitor processes from start to finish. With smart contract usage, successful deliveries can more easily be validated. Healthcare: This sector needs a more secure way to share and store data. A blockchain-focused secure platform can help build trust between consumers and providers, because facilities will be able to safely share and store data. 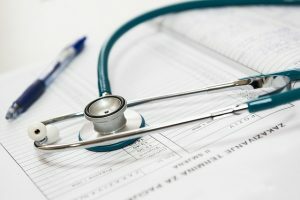 Along with a patient’s electronic record, the blockchain can be used to provide a higher level of data accuracy and integrity. Such technology can be used to create smart health profiles, which enables a patient’s financial and personal information to be securely accessed and stored. Real estate: Numerous issues are plaguing the industry, such as fraud, public record mistakes, and insufficient transparency; the real estate verification process presents unique challenges as well. Even when various conditions are met, the transfer of funds from buyer to seller can be delayed. With smart contracts and decentralization, there’s no need to hire an attorney, and closing costs may be reduced. Forecasting: From analysis and research to consulting, blockchain tech has the potential to transform the forecasting sector. Here, users will be able to predict and watch elections, sports, and stocks in a highly decentralized way. Blockchain could have significant effects on related industries, such as mining, organic food, forestry, fishery, and energy as well. Advertising: The $550 billion advertising and marketing industry is dominated by key players such as Google and Facebook, and businesses aren’t guaranteed conversions or genuine ad traffic. However, startups are using blockchain to connect buyers with businesses. The customer decides who can access their data, and they’re paid every time a business uses that data to make them an offer. Companies make customized offers to consumers based on their searches for services and products on a decentralized search app. Crowdfunding: An effective and popular way for startups to raise awareness and money for new projects is crowdfunding. However, these platforms’ fees can be quite high; this happens because the platform serves as a middleman. If the middleman isn’t necessary, online reputation systems and smart contracts can be used to build trust between creators and investors. Bitcoin is more than a form of currency; it’s technology that has the potential to change the world as it’s currently known. Blockchain is already affecting many industries, and those effects will likely be magnified as cryptocurrency is more widely adopted. The answers to questions about bitcoin’s investment value will differ significantly depending on who’s asked. Those who believe in a future where a lack of central oversight gives assets their value will say that bitcoin will increase in value. Others who put more faith in the trust and security provided by government institutions and central banks would likely advise the new investor to rethink their stance on cryptocurrency. While determining the strength of an investment is largely a guessing game, there are a few ways to determine how much a particular investment is worth. A simple way to envision the investment power of bitcoin is to consider how it has risen against the US dollar. Recently, the price of bitcoin rose above $1000, and now they’re reaching $1500 and beyond. Anyone investing in the cryptocurrency when it was worth about $150, or when it was first introduced, would definitely believe that it makes a good investment. Scarcity is one of Bitcoin’s underlying concepts. Only 21,000,000 tokens will ever exist, which means that the value may stay the same or increase relative to other currency types that can be printed in abundance. 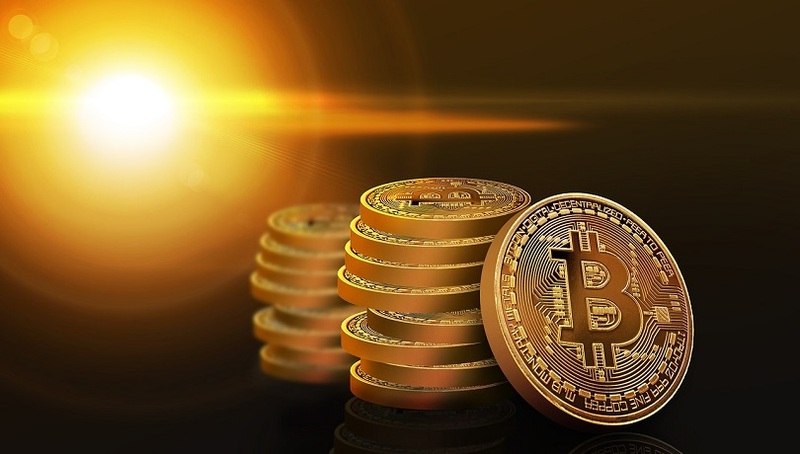 Other reasons to invest in bitcoin include its increasing popularity, its security, its immutability, and its status as the first-ever cryptocurrency. With all this being said, there’s one significant reason to limit bitcoin investments to a small part of a portfolio. Bitcoin is a volatile currency; it’s known for quick price jumps, high peaks, and low valleys that would make it extremely hard for knowledgeable investors to have confidence in it as a long-term moneymaker. It would be imprudent for one to spend their entire savings on such an unstable asset. As with stocks, bonds, and mutual funds, one should not invest more than they can afford to lose. What Will Bitcoin Do to the World In the Future? Cryptocurrency is somewhat of a buzzword these days; it’s almost impossible to open a newspaper or click on an online news story without seeing a reference to it. While its future effects are uncertain, there’s no doubting Bitcoin’s effects on the financial world. Some of these current and future effects are discussed below. Cost-efficient, fast bank transfers: There’s nothing as annoying as paying exorbitant fees to simply transfer money between financial institutions. Current methods are archaic and time-consuming; in some cases, transfers can take a week or more. However, with the use of bitcoin and other cryptocurrencies, transfers are instant and fee-free. Easier, more frequent remittances: Every year, those who have moved from overseas send billions of dollars home to their families. With international transfer fees of 6-10%, this is a substantial burden on some of the most underprivileged and vulnerable people in the world. Blockchain technology can help them save by allowing instant, free transactions. Safer finances for low-income users: Mobile technology is evolving at a rapid pace in developing countries, and anyone who can access a mobile device can potentially transfer money to another user. Transfer fees can be quite high, but digital currencies can level the playing field for users in disadvantaged countries. 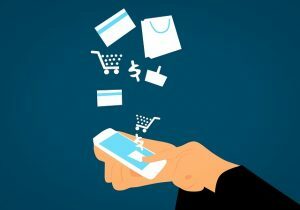 Increased power and potential for e-commerce applications: While e-commerce is growing, there are persistent concerns about fraud and data safety. However, when cryptocurrencies are introduced, these concerns are largely eliminated. Once made, transactions can’t be undone, which mitigates fraud risks for vendors. Money can be sent efficiently and quickly, which makes the online shopping process more comfortable without worries about trade restrictions and international rules. Stability in uncertain times: While cryptocurrency is still on the rise, and therefore isn’t as stable as the US dollar or the euro, some countries could benefit from the use of bitcoin. For instance, Venezuela’s inflation rate has grown by 128% since January 2017, which has caused widespread economic and social unrest. In many ways, Bitcoin is more stable than the country’s national currency, and it could be a smart way for the country’s residents to store their funds. Giving power back to the people: Users’ trust in financial institutions has always been tenuous, and the issue isn’t going away any time soon. However, cryptocurrencies aren’t regulated or centralized in any way. There are fewer intermediary layers, and the currency’s compliance rules make it a viable alternative to the traditional banking system. This method of investment, trade, and wealth accumulation puts the power back in the people’s hands by taking it away from the privileged few. From the moment they were created, cryptocurrencies were set to change the world. As bank CEOs talk it down, and some countries ban it outright, its popularity will only grow. Most who are against the idea have vested interests in seeing it fail, but thankfully, the benefits of cryptocurrency far outweigh the disadvantages.